Medical researchers and statisticians from Canada and the U.S. have developed a rating scale to predict mortality of overweight and obese people. The Edmonton obesity staging system, named for the city in Alberta, Canada where the scale was developed, is described in the 15 August issue of CMAJ (Canadian Medical Association Journal). The most common indicator of excess weight is the body mass index (BMI), which is easily calculated based on the height and weight of adult men and women. BMI, however, does not account for the presence of conditions that may be associated with excess weight, such as cardiovascular disease. The Edmonton system, proposed by Arya Sharma at University of Alberta’s Department of Medicine, ranks overweight and obese people on a five-point scale according to their underlying health status and the presence or absence of underlying health conditions. The scale ranges from 0 for no physical or psychological limitations to 4 for severe disabilities or conditions. The research team, which included Sharma and colleagues from Alberta as well as University of Alabama at Birmingham and Wake Forest University in North Carolina, analyzed data on more than 8,100 subjects from two rounds of the National Health and Human Nutrition Examination Surveys (NHANES): 1988–1994, and 1999–2004. 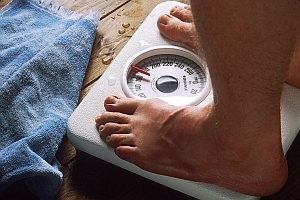 The researchers also followed up on overweight or obese subjects in the surveys to the end of 2006. The team found that 77 percent of overweight or obese people in the NHANES 1988-94 survey and 90 percent of those in the 1999-2004 survey were classified as stage 1 or 2 on the Edmonton scale. However, their risk of dying was substantially lower than that of overweight or obese people classified as stage 3. The researchers could not assign scores of 4, because not all of the needed data elements were available in the surveys. The authors proposed adding the Edmonton system to the tools available for clinicians in evaluating patients and prescribing treatments, such as bariatric surgery.